KDE Plasma 5.10 released at May 30th 2017. 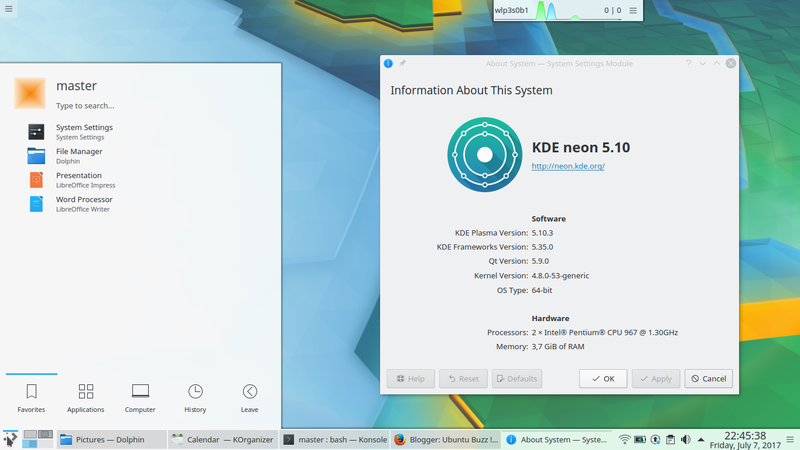 This article simply summarizes what's new from Plasma 5.10.1 (06 June), 5.10.2 (13 June), and 5.10.3 (27 June) for beginners and non-KDE users. Here's what Plasma Desktop would be if you use it on any GNU/Linux distro today. 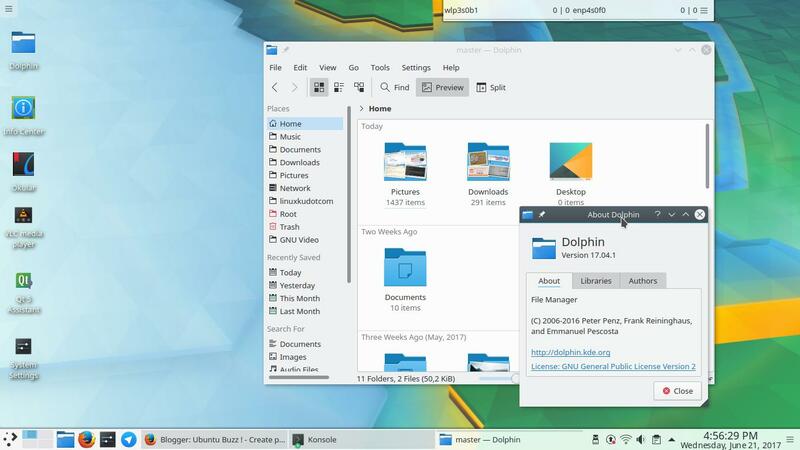 Here's KDE Plasma Desktop user interface on Neon Operating System. You will have same interface if you use another OS with the same Plasma 5.10 version. 1. Folder View, What Is It? This feature is enabled by default on 5.10. However, if it doesn't on your system, just enable it at right-click on desktop > Configure Desktop > change Layout to Folder View > OK. You may view right-on-desktop the contents of any folder you like. Folder Views enables you to drag-n-drop any folder or file from menu to desktop. It makes it really simple to access files/folders you like at any time! Now, you can also drag-n-drop your favorite folder onto panel and set it as Folder View so it could be your quick access to every file. Plasma 5.10 makes it easy to group and ungroup running applications by middle-clicking the task on panel. You should enable this feature first from right-click on task bar > Task Manager Settings > Set "On middle click: Group/Ungroup" > OK. When you pin Dolphin File Manager on panel and give it a right-click, you'll have your bookmarked folders shown on the context menu. This makes opening folders easier now. Now, you can copy, open with, and compress the screenshot from a right-click on its notification balloon. You can even open the folder where the screenshot saved. However, for now, you can paste the copied picture to file manager only and not to image editor (e.g. GIMP). The pinned application icons size can be resized easily from Task Manager Settings > slide the Icon size slider > OK. 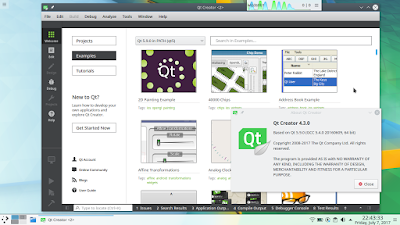 If you use Neon OS, then you'll have very latest updates of many KDE Software such as KDevelop, Marble, Kalzium, and Calligra Office. You'll have latest version of Qt Creator as well and you can compare them to official version of Ubuntu 16.04 repo (version where Neon is based). To give you example, in 16.04 Qt Creator is still on 3.51 whereas in Neon it's 4.3.1, Calligra 2.9.7 vs 3.0.1, Marble 15.12 vs 17.04, and so on.